My Creative Existence: Tri-fold Shutter Card. * Prague Vol 2 set. The base card was made from black Bazzill cardstock. 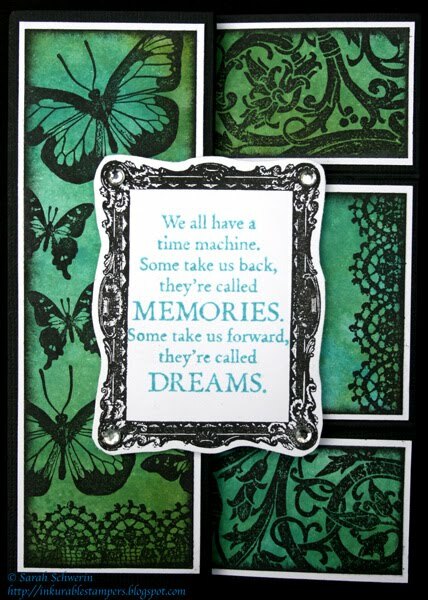 I used plain while card stock for the matting, and some stamping, and the coloured background was created using the Wrinkle Free Distress Technique with Broken China and Peeled Paint Distress inks. 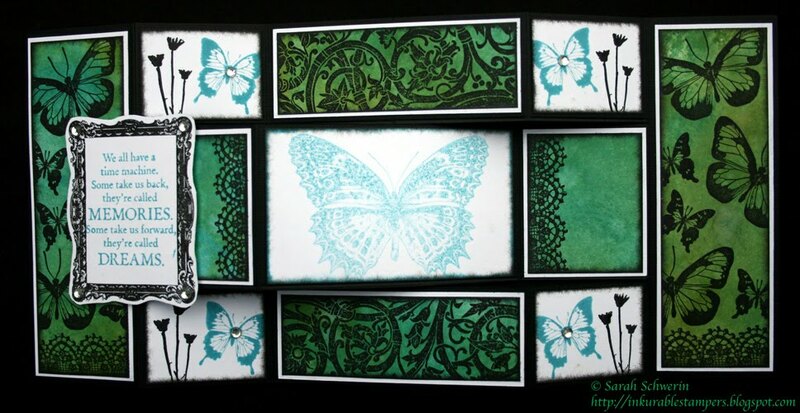 The images were stamped with black ink and Broken China distress ink. 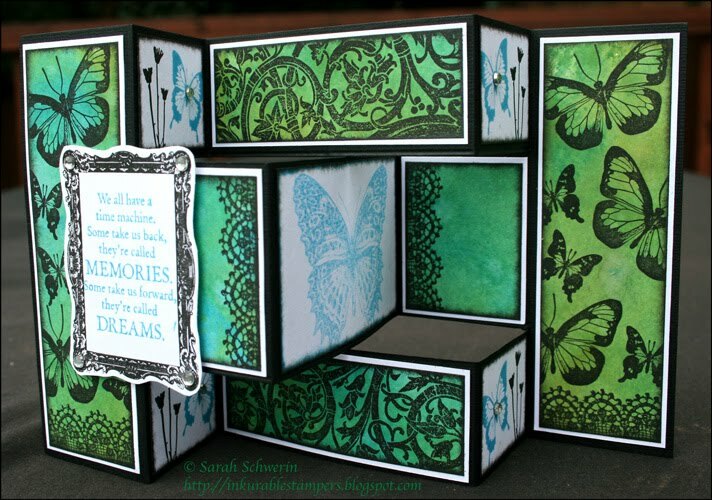 The idea is to write in the centre piece (where the big blue butterfly is). 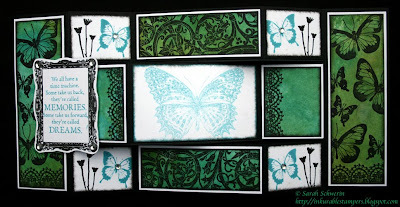 I stamped the large butterfly onto scrap paper first, then stamped it onto the white card without re-inking for a muted effect so that I could write clearly over the top with a black pen. 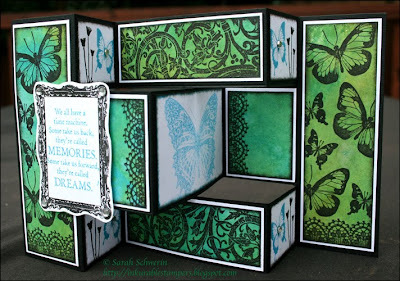 There are Kaisercraft clear rhinestones in each corner of the frame, and inside in the centre of the smaller butterflies. 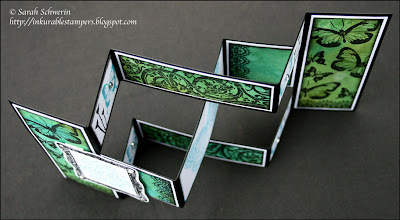 To make your own Tri-fold card, check out this tutorial at Splitcoast Stampers. 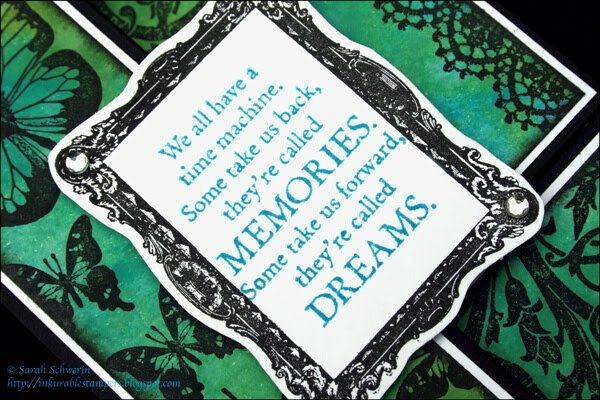 Wow Sarah, this is FABULOUS!! 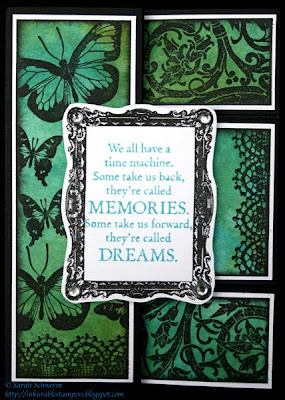 Love how well all stamps work together, and the stunning colors too! !